PRO4X PACKAGE, 4WD, POWER DRIVER SEAT, HEATED FRONT SEATING, POWER SLIDING REAR WINDOW, NAVIGATION SYSTEM, ROCKFORD FOSGATE SPEAKERS, BLUETOOTH, REAR VIEW CAMERA, BACK UP SENSORS, BED LINER TOWING PACKAGE, PREMIUM WHEELS. Find a great sale price on this 2018 Nissan Titan at Chevrolet Cadillac Buick GMC, Washington. 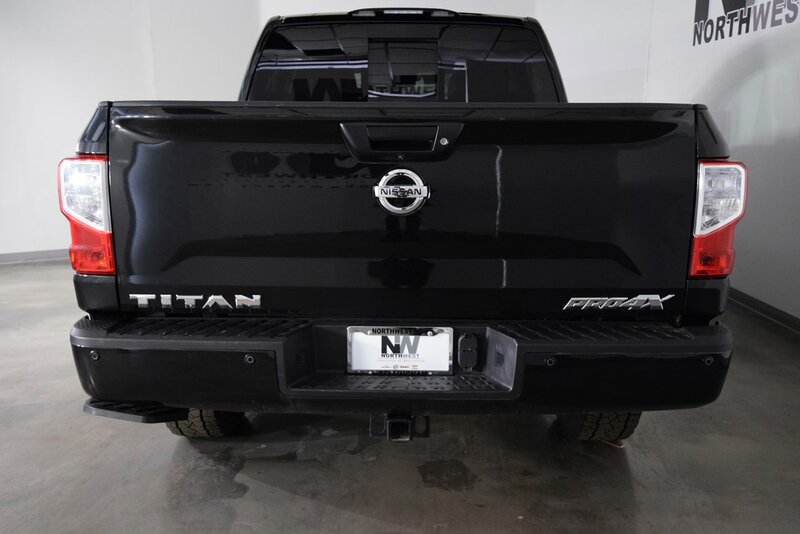 This 2018 Nissan Titan is located at our Chevrolet, Cadillac, Buick, GMC dealership. We also serve the city of Bellingham, WA. So if you're looking for a great price on this 2018 Nissan Titan or just looking to get an auto loan for the vehicle you want... you've come to the right place! Chevrolet Cadillac Buick GMC of Bellingham.